Recent studies reveal that purchasing an expensive engagement ring increases the likelihood of a couple divorcing. “How much should an engagement ring cost?” This is a burning question for most people looking to propose, as they feel the mounting pressure to buy bigger, more lavish diamonds. Initially, this notion that an engagement ring has to be very expensive was artificially created by the diamond industry itself, looking to increase their profits. Through movies and alluring commercial ads they have convinced couples that the cost of an engagement ring should at least equal a man’s one month salary, and that was the ONLY way to show TRUE love. Over the years, many women have come to expect a hefty size diamond ring, regardless of whether this is a smart long-term financial decision for their new family. Men save up for months and/or go into debt to purchase this “dream” diamond. Today, a couple of average means spends $6,000-8,000 or more on an engagement ring. Recent Emory University research that surveyed 3,000 couples, and looked at the relationship between the cost of an engagement ring and longevity of marriage reveals a surprising and counter-intuitive finding: couples that spend more than $2,000 on an engagement ring are more likely to get divorced than couples who spend less than $2,000. (Source:http://elitedaily.com/news/world/big-engagement-ring-getting-divorced/791314/). 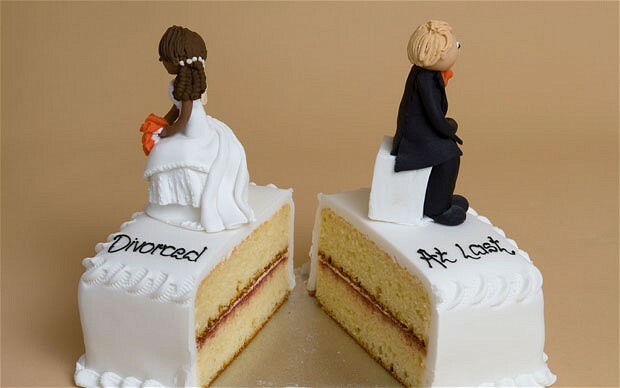 One of the main reasons for divorce cited in the study is the mounting debt that puts a lot of strain on new marriages (note that the cost of weddings is also on the rise, with the average wedding costing $30,000). The truth is that if you do your research and shop smart, you can still purchase a beautiful diamond engagement ring, without breaking the bank. I got my diamond engagement ring, which I absolutely love, for $2558 (the diamond cost $858 and the ring itself $1,700). It has a round diamond in a custom made setting, which makes the stone itself pop and look bigger than its real size. Most people that see my ring think it’s a 1CT. The diamond’s superior quality cut and clarity make it really sparkle, increasing the WOW factor. It did take about 4 months of research and shopping around to find the ring that is both gorgeous and makes financial sense for us. Use our Diamond Calculator to figure out a fair price to pay for a diamond, so that you don’t end up being overcharged in jewelry stores. Many jewelers overcharge unaware and uneducated consumers 15-20% more, and also sell you a low quality diamond. If your goal is to get the biggest diamond you can afford, consider fancy cut diamonds, such as princess cut or emerald cut diamond. You can get a larger size engagement ring for a fraction of the cost of a round cut diamond of the same size.